Harvest Time Partners, Inc., a rapidly growing personal- and professional-development company, is announcing a special discount pricing structure for schools and 501c3 charitable organizations. 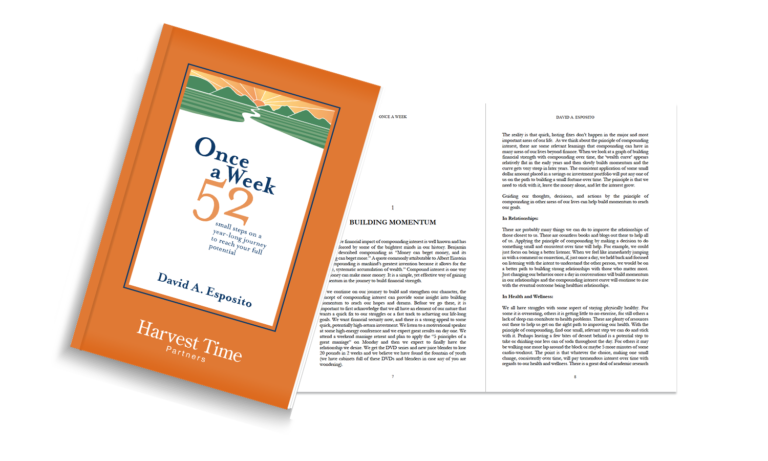 Harvest Time Partners is offering the discount pricing across the entire line of new conversation games designed to build and strengthen character, one conversation at a time. The games are a part of Harvest Time Partners’ Character Creates Opportunity® brand. 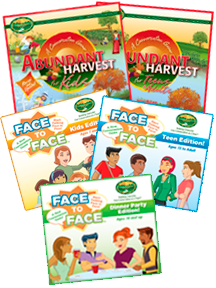 Abundant Harvest® for Kids and Abundant Harvest® for Teens & Adults. Both game versions are revised and updated based on the original patented and award-winning versions launched in 2008. The new game offerings address the feedback and valuable insights offered by parents and educators as well as the children who played them. Both remain true to the intent of the original versions: to help families and educators open the door to more effective communication and to encourage decision making based on principles such as honesty, loyalty, and commitment with the intent of reinforcing the law of the harvest—you reap what you sow. Face to Face™. This new conversation game is suitable for play in a variety of forums such as typical family gatherings at home, on vacations and road trips, or as engaging conversation starters for small-group parties. The games help to encourage open and honest conversations on real-world issues and to develop the critical life-skill of effective face-to-face communication in a world that is rapidly changing how people connect. There are three versions of the game: Face to Face Kids Edition, Face to Face Teen Edition, and Face to Face Dinner Party Edition. Portage, MI (October 24, 2013) — Harvest Time Partners, Inc., a rapidly growing personal- and professional-development company, is announcing the launch of a new line of gifts and accessories to complement the Character Creates Opportunity brand. The Character Creates Opportunity brand currently includes award-winning, patented conversation games, programs, and resources for both the personal and professional development of individuals, families, and organizations. David Esposito, managing partner of Harvest Time Partners, was inspired to create the brand based on his personal and professional experiences as a combat veteran, business executive, husband, and father of four. The intent behind Character Creates Opportunity is simple: lasting success can be achieved by making decisions and taking actions based on principles such as loyalty, responsibility, and commitment. Principle-based decisions and actions strengthen an individual’s character and Character Creates Opportunity for people regardless of the challenges in their environment. The new products are available on the company’s website at www.harvesttimepartners.com. For more information or to discuss additional products and services from Harvest Time Partners, Inc., please visit the company website at www.harvesttimepartners.com. You can also contact David Esposito at (877) 786-4278 or david@harvesttimepartners.com. Hamburg, NY (October 22, 2013) — The Character Council of Western New York and Harvest Time Partners Foundation are announcing a new scholarship program for Western New York high school seniors to reinforce the importance of character and encourage students to pursue academic goals beyond high school. The scholarship program will award $1,000 cash scholarships to three college-bound seniors exemplifying character in his/her daily life. The scholarships will be awarded to the most deserving high school seniors from a public, private, parochial, or home school, enrolling full-time in a college or trade school for the fall of 2014. Students must be current residents of Erie, Cattaraugus, Niagara, Orleans, Chautauqua, or Allegheny counties to be considered. The scholarship will be made payable directly to their chosen post-secondary institution. Details of the scholarship application process and additional information can be found on the Character Council’s website www.charactercouncilwny.org/scholarship. The deadline for applying for the scholarships is January 15, 2014. Harvest Time Partners Foundation is a 501c3 organization that supports children and young adults in the pursuit of character-building opportunities worldwide. The Foundation supports a wide range of initiatives from college scholarships to community service projects, as well as international efforts to reduce the suffering of children and young adults. The Foundation was established by Harvest Time Partners, Inc., a personal and professional development company providing resources and support to enable individuals, families, and organizations to reach their full potential in an increasingly complex and unpredictable world. To learn more, visit the company’s website at www.harvesttimepartners.com. Welcome to the Character Creates Opportunity blog! I am David Esposito and I will be writing the content for the blog. At Harvest Time Partners, we created the brand Character Creates Opportunity to support and encourage our clients with the truth that it is our CHARACTER that enables lasting success in accomplishing our hopes and dreams. Our world continues to grow in complexity, intensity, and uncertainty. There are no “Secret Formulas” or “Ten Easy Steps” to lasting success in our uncertain world. Only our CHARACTER will create the opportunity over time to achieve lasting success, regardless of our environment. This blog will be a forum to reinforce the importance of CHARACTER in making a positive impact in our relationships and our businesses. Character: Character is our internal compass or internal sense that drives our thoughts, decisions, and actions. Character is built and strengthened over time by thoughts, decisions, and actions that are based on principles like trust, loyalty, commitment, and perseverance. Success: Success is defined as achieving near term goals in a manner that forms the foundation to achieve even greater goals in the future. (1) I am no expert. I am on this journey of trying to reach my full potential like everyone else. I have been blessed with some experiences and learnings that I hope will help others, but at the same time, I look forward to being an active participant on this learning journey. (2) In the words of Yogi Berra, “It is Déjà vu all over again.” Or, if you prefer, from the Book of Ecclesiastes, “There is nothing new under sun.” In the world of personal and professional development, there are new “techniques” that emerge over time to help people deal with certain situations in our changing world, but the principles of lasting success are timeless. So in many aspects, what I will be communicating in this blog will most likely be concepts you are familiar with from other sources. I hope to communicate them in a manner that supports and encourages you to be more consistent in applying these truths on your journey to reach your full potential. One final note, the readers of this blog will most likely be adults. However, I would like to remind all of us that the development of character begins early in life. I would encourage you to share the content from this blog and the concept that Character Creates Opportunity with children and adolescents. Thank you for participating in the journey to build and strengthen character. Portage, MI (October 16, 2013) — Harvest Time Partners, Inc., a rapidly growing personal- and professional-development company, announces the launch of a new line of conversation games designed to build and strengthen character, one conversation at a time. The new games are a part of Harvest Time Partners’ Character Creates Opportunity® brand and are suitable for a variety of ages and forums. The new conversation games are available for pre-order immediately with delivery expected in early November. The games are available on the company’s website at www.harvesttimepartners.com and on major online channels such as Amazon.com, Sears.com, Newegg.com, and others. Pre-orders are being accepted with delivery expected to begin in early November. Award-winning conversation games are now available worldwide. Harvest Time Partners, Inc., a rapidly growing personal- and professional-development company, is partnering with LearnRight Toys to distribute its award-winning portfolio of conversations games worldwide. The company is also preparing for the launch of several new conversation games in time for the 2013 holiday season. The new conversation games focus on improving the dialogue between parents and children and reinforcing the importance of principle-based decisions to build and strengthen character. As part of the launch, Harvest Time Partners has revised and updated its flagship product, the award-winning conversation game Abundant Harvest®. This game is a one-of-a-kind board game designed to help families and educators open the door to more effective communication. Abundant Harvest encourages decision making based on principles such as honesty, loyalty, and commitment with the intent of reinforcing the law of the harvest—you reap what you sow. Currently, Abundant Harvest for Kids and Abundant Harvest for Teens & Adults are available on the company’s website www.harvesttimepartners.com and on major online channels such as Amazon.com, Sears.com, Newegg.com, and others. Founded in 2008, LearnRight Toys has established working relationships with new and established brands by helping its clients connect with independent retailers and retail chains. LearnRight Toys specializes in distribution, logistics, fulfillment, sales planning and marketplace management. The company’s expertise and ability to adapt allows its clients to focus on what they do best—developing great products and enhancing their brands. More information can be found at www.learnrighttoys.com.